For the fiscal year 2017 budget, the U.S. Department of Education (Education) estimates that all federally issued Direct Loans in Income-Driven Repayment (IDR) plans will have government costs of $74 billion, higher than previous budget estimates. 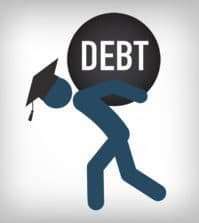 IDR plans are designed to help ease student debt burden by setting loan payments as a percentage of borrower income, extending repayment periods from the standard 10 years to up to 25 years, and forgiving remaining balances at the end of that period. While actual costs cannot be known until borrowers repay their loans, GAO found that current IDR plan budget estimates are more than double what was originally expected for loans made in fiscal years 2009 through 2016 (the only years for which original estimates are available). This growth is largely due to the rising volume of loans in IDR plans. Education assumes that borrowers’ incomes will not grow with inflation even though federal guidelines for estimating loan costs state that estimates should account for relevant economic factors. GAO tested this assumption by incorporating inflation into income forecasts, and found that estimated costs fell by over $17 billion. 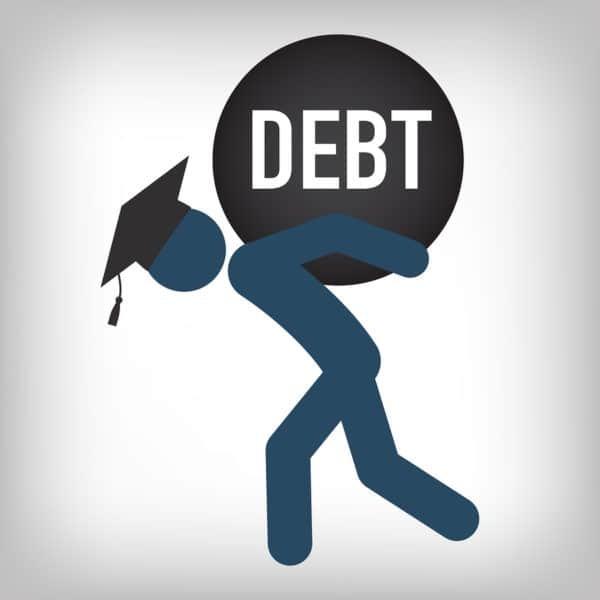 Education also assumes no borrowers will switch into or out of IDR plans in the future despite participation growth that has led budget estimates to more than double from $25 to $53 billion for loans made in recent fiscal years. Predicting plan switching would be advisable per federal guidance on estimating loan costs. Education has begun developing a revised model with this capability, but this model is not complete and it is not yet clear when or how well it will reflect IDR plan participation trends. Education tested only one assumption for reasonableness, and did so at the request of others, although such testing is recommended in federal guidance on estimating loan costs. Without further model testing, Education’s estimates may be based on unreasonable assumptions. Due to growing IDR plan popularity, improving Education’s estimation approach is especially important. Until that happens, IDR plan budget estimates will remain in question, and Congress’s ability to make informed decisions may be affected. As of June 2016, 24 percent of Direct Loan borrowers repaying their loans (or 5.3 million borrowers) were doing so in IDR plans, compared to 10 percent in June 2013. Education expects these plans to have costs to the government. GAO was asked to review Education’s IDR plan budget estimates and estimation methodology. This report examines: (1) current IDR plan budget estimates and how those estimates have changed over time, and (2) the extent to which Education’s approach to estimating costs and quality control practices help ensure reliable estimates. GAO analyzed published and unpublished budget data covering Direct Loans made from fiscal years 1995 through 2015 and estimated to be made in 2016 and 2017; analyzed and tested Education’s computer code used to estimate IDR plan costs; reviewed documentation related to Education’s estimation approach; and interviewed officials at Education and other federal agencies. GAO is making six recommendations to Education to improve the quality of its IDR plan budget estimates. These include adjusting borrower income forecasts for inflation, completing planned model revisions and ensuring that they generate reasonable predictions of participation trends, and testing key assumptions. Education generally agreed with GAO’s recommendations and noted actions it would take to address them.